Windstar Cruises, the leader in small ship cruising, has revealed big news about the award-winning line’s US$250 Million Star Plus Initiative at last week’s Seatrade Cruise Global, the cruise industry’s most celebrated worldwide event. The volcanic island of Ischia, off the coast of southern Italy, is garnering much attention of late and not just for its spectacular scenery. The ‘Green Island’, as nicknamed by locals, forms part of the backdrop for HBO’s recent critically-acclaimed series “My Brilliant Friend” based on the much-loved Elena Ferrante novel. Casa Angelina has announced a Spring Offer to celebrate the seasonal 2019 re-opening of this beautiful property in Praiano on the Amalfi Coast. 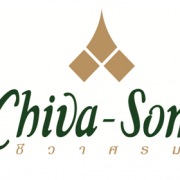 Chiva-Som International Health Resort has announced the fourth and final stage of its renovation program, from 1st May to 31st October of this year. The resort, which reopened on 1st November 2018, has already revealed the results of the first three stages of works, which comprised a complete overhaul of all the accommodation and many of the facilities. Individual Traveller has announced an exclusive Sri Lanka Solo Tour for Men and Women 55+ inviting participants to ‘Travel where you’ve never been with friends you’ve never met!’. Windstar Australia has announced an 8-night Monaco Grand Prix Fly, Cruise & Stay Package offering savings up to $5,823 per person twin share. The special offer is available for bookings received by 22 March for this package at the reduced cost starting from $9,999 per person twin share departing 20 May 2019. Aqua Expeditions has announced the launch of its free online Aqua Expeditions iFrame marketing tool providing the luxury cruise company’s trade partners in Australia with exclusive online access to its current content. This new facility is designed to assist its Australian partners in selling Aqua Expeditions’ Aqua Mekong and Aria Amazon cruises more easily and effectively by offering a well designed iFrame that contains the most important and useful information which can be easily placed onto the trade’s web pages with one simple click. Discover Portugal, Spain & Morocco Holidays has announced an escorted tour exclusively tailored for ladies wishing to travel solo along the fascinating path of the Camino. For the first time, Rayavadee will also accept these bookings for stays over Easter from 19 to 22 April, which has always previously been a blackout period for bookings. The Library invites couples to celebrate their special union with a stunning Wedding in The Red Pool at this beautiful property in Koh Samui, Thailand. Travellers and industry partners will be able to get an insight into all that is happening on Norfolk Island with this popular short-haul holiday destination to feature on ABC Television’s Escape from the City program screening on 28 February and 2 March. Sydney, 22 February 2019: Sri Lanka’s Kahanda Kanda has introduced an Ayurvedic menu designed to encourage optimal health from inside out and complement the resort’s new 4-night Wellness Program. Based on 5000-year-old Ayurvedic philosophies, the menu incorporates the essential elements of sweet, sour, bitter, pungent, astringent and salty in each meal to aid digestion and achieve overall balance. From Mumbai’s dabbawallas and Old Delhi’s markets, to the Taj Mahal and lavish Taj Hotels, Spencer Travel has announced an exclusive 12-day Spencer Gems India journey to be hosted from 13 – 25 October 2019. The Unique Tourism Collection has been appointed Australia and New Zealand representative for The Table Bay in Cape Town, South Africa. The Sydney-based travel and tourism marketing and communication specialist will be responsible for sales, marketing and media activity working closely with industry partners and media and developing strategic opportunities for driving business from Australia and New Zealand to The Table Bay. International Health Resort, a pioneer in global wellness destination Chiva-Som has introduced a complimentary Afternoon Tea being offered to guests in The Orchid Lounge from 2.30 pm – 5.00 pm each day. Aussie surfers eager to drop in on Sri Lanka’s top breaks can now do so with a new 4-night surf package being offered by KK Beach located near Galle. Italy is heralded for its fresh and seasonal gastronomy however Garden & Villas Resort on the island of Ischia is taking sustainable cuisine to the next level by serving genuine zero-mile products that tell the history of Ischia direct from their onsite organic garden. Norfolk Island comes alive over this week with four major shows, acoustic and country rock sessions and the famous UpCountry bar and party after each show. 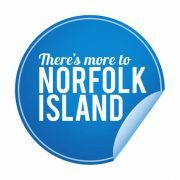 Norfolk Island Travel Centre has limited seats still available on an exclusive direct return charter flight from Auckland to Norfolk Island 2 – 9 February 2019. 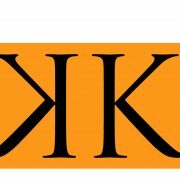 Discover Portugal, Spain & Morocco Holidays – Discover Us! Discover Portugal, Spain & Morocco Holidays continues to unveil wonderful experiences in three amazing destinations and is ready to create personalised itineraries. 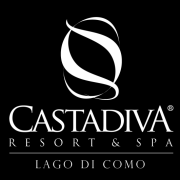 Sicily’s Therasia Resort Sea and Spa on Volcano has announced a ‘hot’ offer for guests to enjoy a degustation dinner prepared by awarded Chef Giuseppe Biuso at the resort’s one Michelin-Star restaurant, Il Cappero, when the resort reopens for the European summer in April 2019. Tauck Australia has announced three cruises commencing in April 2020 aboard Tauck’s new 80-metre Douro Riverboat which has been purpose-built for traversing Portugal’s fascinating Douro River and offers spacious accommodation for 84 guests. 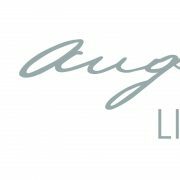 Following sold-out Chef-hosted cruises in 2018, Aqua Expeditions has again scheduled two special departures on Aqua Mekong with acclaimed Australian Chef, David Thompson in 2019. The Library in Koh Samui, Thailand is offering a 25% discount on its Best Available Rates (BAR) and 15% travel agent commission for bookings received by 31 January 2019 for guest stays of a minimum three consecutive nights at this stunning property until 15 July 2019. Chiva-Som International Health Resort, a pioneer in global wellness, is hosting special culinary events and celebrations for guests staying over the upcoming Festive Season at this acclaimed property in Hua Hin, Thailand. Spacifica Travel has announced a 7-night Escape to Norfolk Island Governor’s Lodge Resort Hotel offer for new bookings made by 4 December 2018 which includes an $800 combined discount on accommodation and flights. Discover Portugal, Spain & Morocco Holidays is a dynamic Sydney-based company with more than 50 years’ combined and proven tourism experience in promoting three fascinating and exciting destinations to which Australian travellers flock each year. Windstar Cruises has announced a USD250 Million Star Plus Initiative, which is a major investment and expansion for the innovative cruise company. Windstar Cruises has announced 2019 and 2020 Caribbean and Latin America sailings will include new visits to ports in Mexico, Honduras, Grand Cayman, the Dominican Republic and Jamaica. Travellers seeking active adventure may choose from an impressive 152 departure dates ranging from seven to 56 days. Chiva Som invites guests to attend an Integrative Wellness Consultation with Chiva-Som Medical Doctor, Chawapon Kidhirunkul MD, MSc, ABAARM during their visit to this internationally acclaimed health and wellness resort in Hua Hin, Thailand. The Library in Koh Samui, Thailand is offering special discounts on its Best Available Rates (BAR) for bookings received by 20 October 2018 for guest stays in the stunning new Secret Pool Villas until 20 December 2018. Rayavadee in Krabi, Thailand has announced a Bonus Night Villa Offer for new bookings of guest stays in the resort’s Family Villa 105, Rai ta Lay Villa, Rayavadee Villa and Phranang Villa 404 until 30 September 2018. Leading health and wellness resort, Chiva Som presents the holistic Emotional Well-Being retreat guiding guests through a personalised regime focusing on mind and body therapy, healthy eating, regular physical activity and establishment of a stable sleeping pattern. With its romantic connotations it’s not surprising to hear that Lake Como is good for the heart. But romance aside there is another less obvious reason why a visit to Lake Como may be good for the heart and you’ll find it in the water. The Taste Norfolk Island Food Festival is back from 26 – 30 November 2018 and once again will be showcasing magnificent locally grown, fresh, organic produce presented by a talented line-up of Chefs. Tauck Australia advises the new Tauck 2019 Small Ship Cruising brochures are now available to order on TIFS. For 25 years, Tauck has shared a passion for sailing with guests, including signature land sightseeing and longstanding partnerships which have created unforgettable travel experiences in favourite destinations the world over and small ship cruises which rank as some of the most popular journeys. During the current closure at Chiva-Som in Hua Hin, for its latest period of renovation works, the highly skilled professionals at this renowned wellness resort, continue their research into and work on tailoring the array of Specialty Retreats and other personalised treatments and therapies which will again be available to guests upon the property’s re-opening on 1 November 2018. Tauck Australia has announced the launch of an App across all Tauck’s tours designed to enhance the experience for clients and enable them to make the most of their Tauck journey from start to finish. The Library in Koh Samui is named Hospitality Winner for its Secret Chapters at the BCI Interior Design Awards (IDA) Asia for 2018. Tamarind Village in Chiang Mai, Thailand has extended its Bonus Night Offer accepting for new bookings received until 31 July 2018 for stays from now until 30 September 2018. Bonus nights are capped at a maximum two nights i.e. applicable for 2 + 1 and 4 + 2 respective paid and bonus nights. 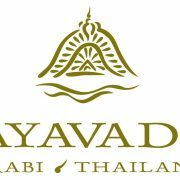 Rayavadee in Krabi, Thailand has announced a Worldwide Summer Offer for new bookings received until 31 July 2018 for travel to the resort from now until 30 September 2018. Bonus nights are capped at a maximum three nights s i.e. applicable for 2 + 1, 4 + 2 and 6 + 3 respective paid and bonus nights. To celebrate Ponant Yacht Cruises & Expeditions’ 30th birthday in 2018, Travel the World and Ponant have announced an exclusive Agent Incentive and Client Offer. Agents booking any Ponant 2018, 2019 and/or 2020 Antarctica cruises or any 2019 Kimberley Expeditions’ cruises by 31 July 2018 will receive an additional 5% commission and a $550 Coles/Myer gift card per passenger booked. Windstar Cruises has announced an End of Financial Year Agent Incentive running throughout June. Agents book and depositing on any 2018 or 2019 Windstar cruise between 1 June and 30 June 2018 will receive a $50 Coles/Myer gift card per booking. Tauck Australia has announced Mid-Year Agent Incentive for bookings of Tauck river cruises, land journeys or small ship cruises made during June. Agents making any 2018 Tauck bookings will receive $100 Coles/Myer gift card per booking and, for 2019 bookings, agents will receive a $50 Coles/Myer gift card per booking. Chiva-Som International Health Resort has commenced the third stage of its renovation program running from May through to October with the reopening scheduled for 1 November 2018.